Star Girl X Wars Collection | Create Game Ideas! Thank you for contributing! 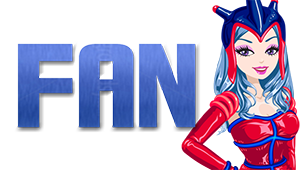 – You’ll receive an exclusive Star Girl wallpaper for your PC when we reach our crowdfunding goal! You're a star in the making! For your donation, you'll receive an exclusive wallpaper for your PC and 800 Diamonds (in-game currency) when we reach our crowdfunding goal! You're a rising star on your way up to brighten up the night sky! 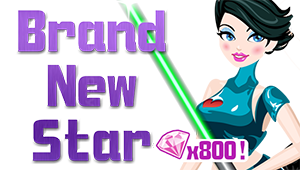 We're giving you an exclusive wallpaper for your PC, 1,600 Diamonds and Star Girl x Wars fashion collection when we reach our crowdfunding goal! Thank you! Well, aren't you just fab? 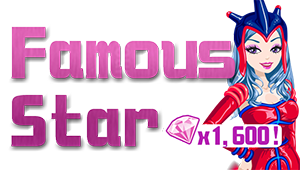 A Pop Icon gets a set of Star Girl wallpapers, 1,600 Diamonds, Star Girl x Wars fashion collection and a fancy Star Girl Key Chain when we reach our goal! Oh, my stars! You're a Superstar though and through! For your generosity, you'll get everything above, PLUS a glorious limited edition Star Girl poster! All hail the Queen! You're phenomenal, one of a kind, and certainly the fairest and brightest of them all! For your magnanimity, you will receive everything listed above, PLUS an exclusive, extra-fabulous Star Girl T-Shirt! One of the biggest movie franchises in history is set to release its next episode soon! Fans and super fans all over the world are extremely excited about it. But who are these fans? Do Star Girls also love the movie franchise? We need you to tell us. We are thinking of creating a new update with a Star Girl x Wars fashion collection, paying tribute to the movie franchise. The collection will contain a bunch of items with a futuristic look (although the movie says it was set a long time ago). We’d like to know: are you interested? 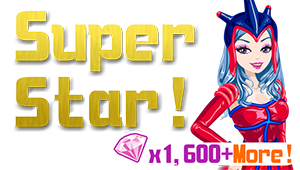 The update will also come with glamorous galaxy-themed beauty contests so the collection will definitely help boost your chances of winning! Let us know if you’re also a huge fan of the movie franchise and are interested in seeing this idea come to life. Vote for us! You can also tell us what you are interested in and give us suggestions here. May the force be with you, Star Girl! Fund NOW and receive the below GREAT rewards! !